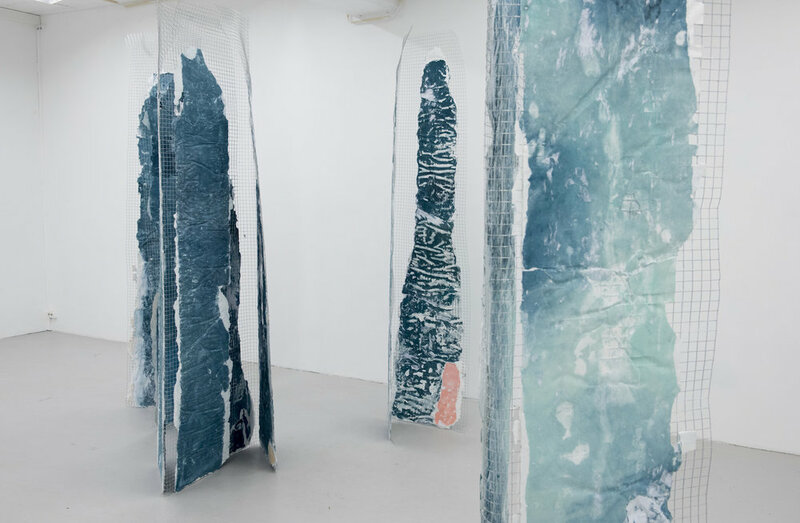 Prosjektrom Normanns is proud to present Ann Iren Buans first solo exhibition in Stavanger. 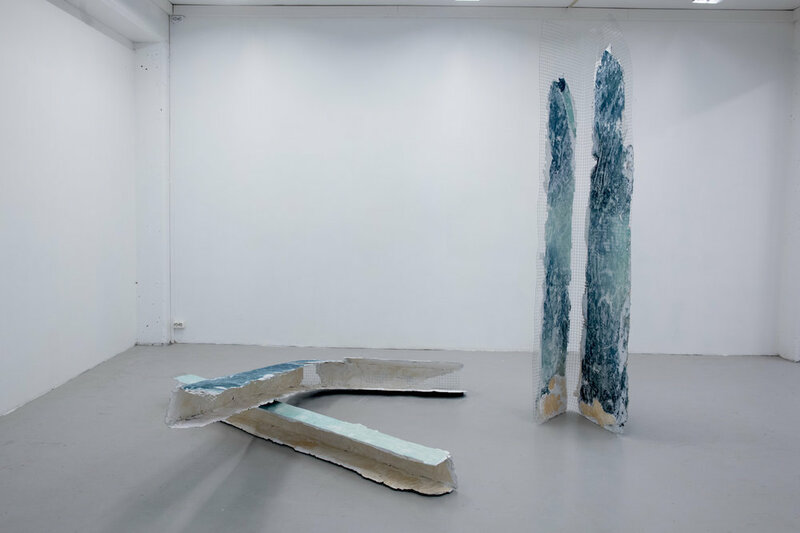 Working with abstract sculpture, Ann Iren Buan explores the materiality of drawing and its possibilities within a three dimensional expression. 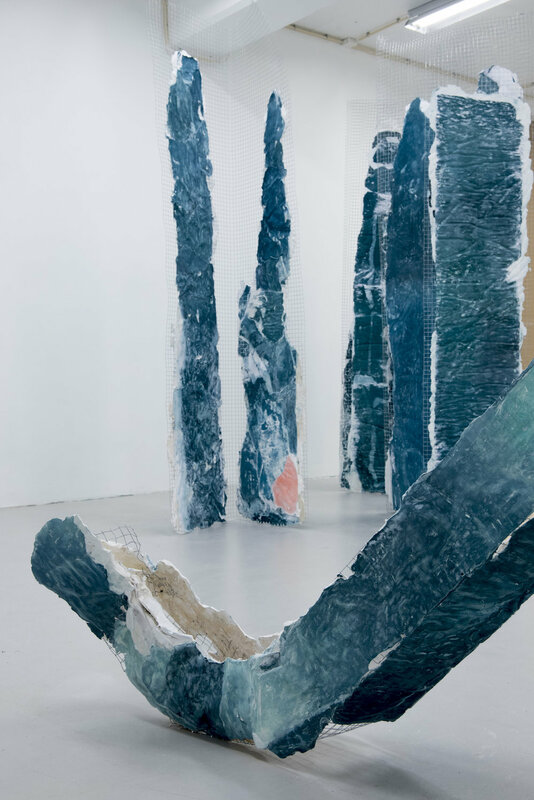 In contrast to the meditative and restricted formats of classical drawing, she works in a very physical manner and in monumental formats using materials such as paper, soft pastels, leather and plaster. 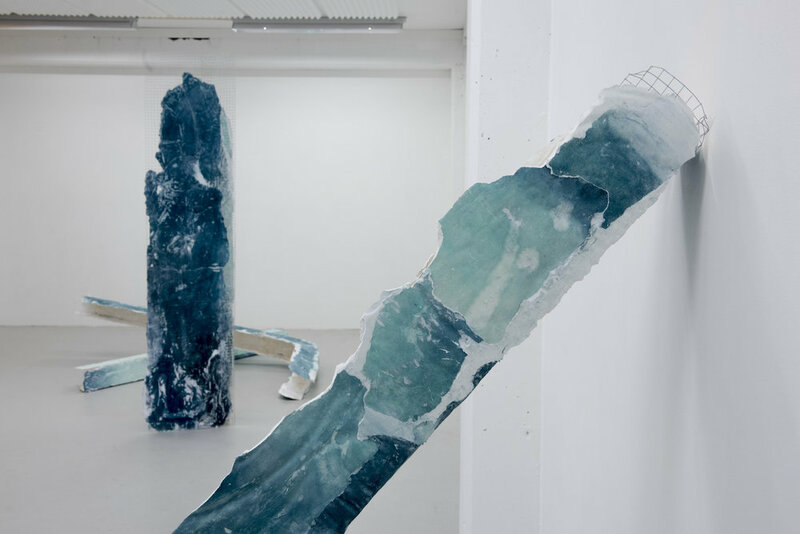 Her works are often created as a reaction to the exhibition site, and the relation between work, body and site is an essential part of her artistic practice. 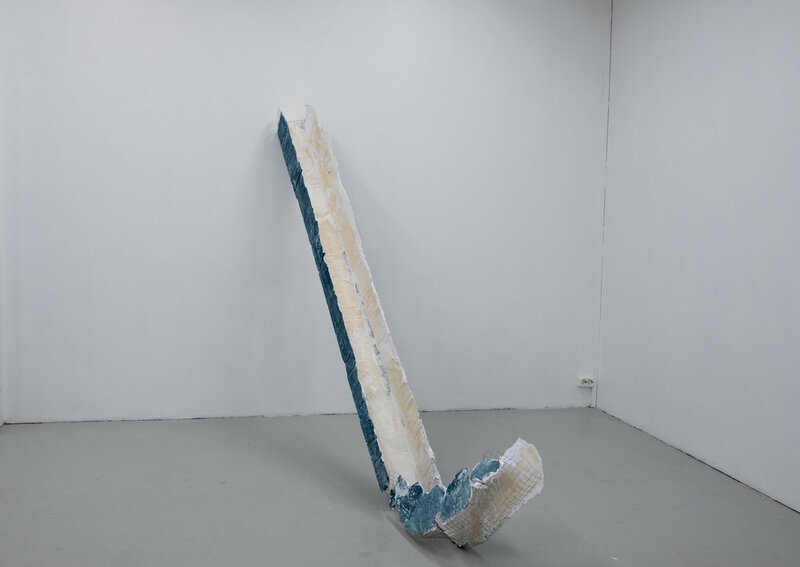 Buan explores the idea of the ruin, and besides the obvious physical destruction in the sculptures, they also portray a fragile and vulnerable state of mind. 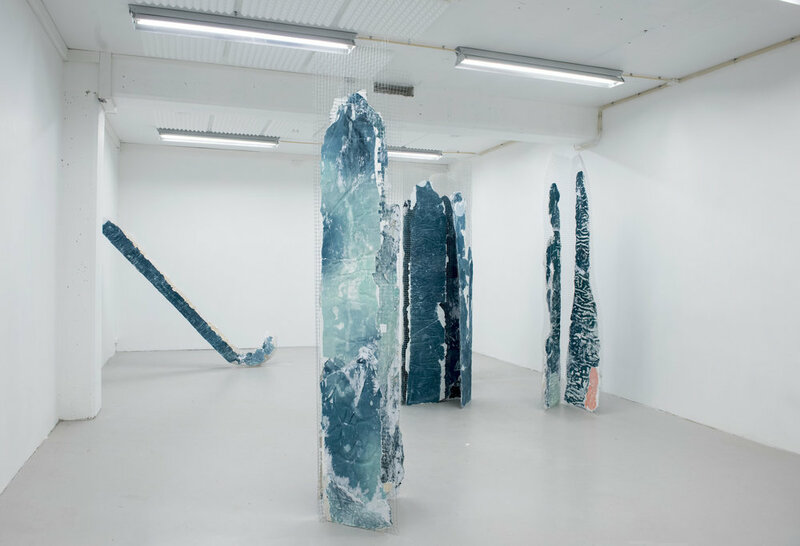 Though monumental, Buans work often appear to be on the brink of collapse, and working near the edge of losing control is a motivating force for the artist. Ann Iren Buan (b. Stjørdal, Norway, 1984) lives and works in Oslo. She graduated with Masters from The Academy of Fine Arts, Oslo (2011). Recent solo shows include Trafo Kunsthall, Asker (2015); Noplace, Oslo (2015); Gallery F15, Moss (2015); Kunstnerforbundet, Oslo (2015). 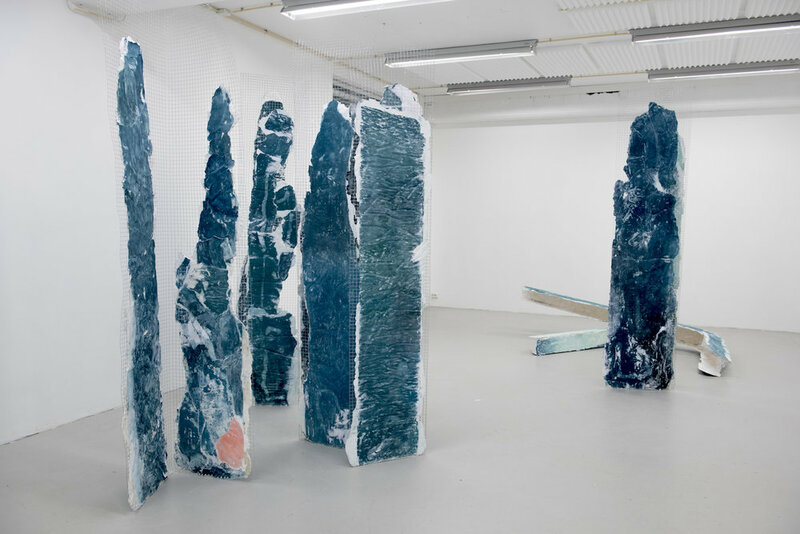 Selected group shows: Apalazzo gallery, Brescia (2016); The Astrup Fearnley Museum, Oslo (2015); Stavanger Art Museum, Stavanger (2015). Selected for the Monuments section of the inaugural edition of Art Untitled, San Francisco (2017). Selected upcoming; Vigeland Museum, Oslo (2018) Apalazzo Gallery, Brescia (2019).